Goodwin Canyon is considered a Class IV-V run. 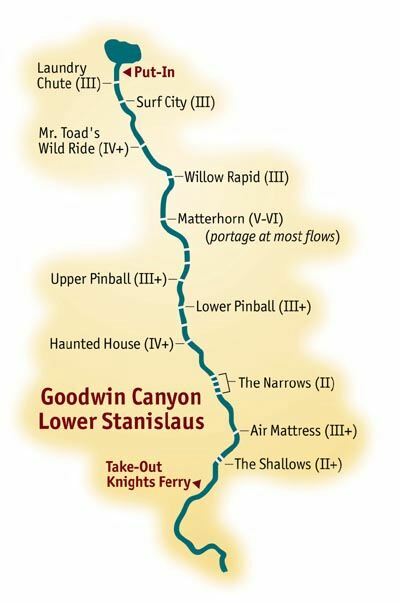 The following mile-by-mile guide only describes the most difficult rapids. The descriptions provide details about the location of certain hazards and also an idea of how the rapid could be run. These descriptions cannot run the rapid for you, so make sure you have the skills and strong paddlers to run these rapids.